Carl Petersen designed the Faaborg Museum. Petersen was a good friend of the sculptor Kai Nielsen but it was the painter Peter Hansen who suggested him as the architect. He was a surprising choice. Petersen had studied architecture in Copenhagen but he had only worked on a few buildings in collaboration with other architects. He had also worked as a ceramicist and was artistic director for the Copenhagen porcelain company Bing & Grøndahl. 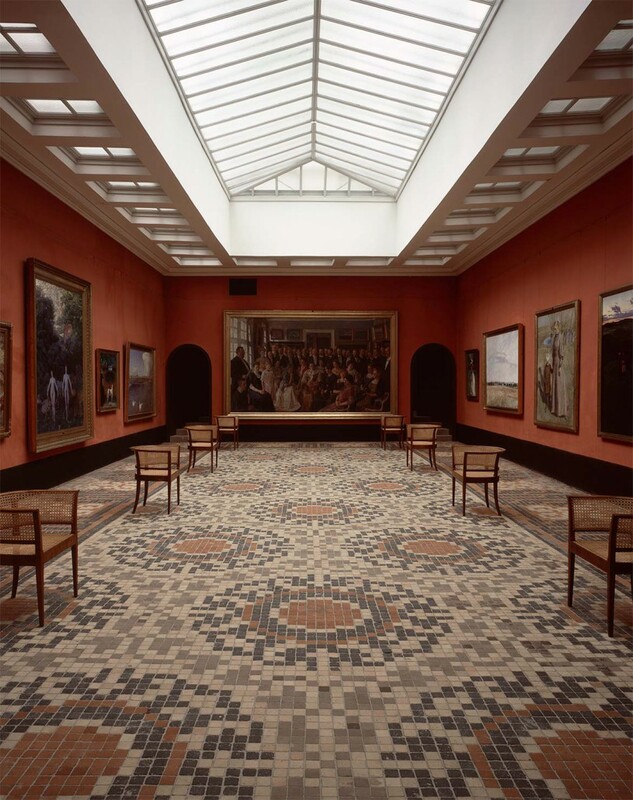 Nevertheless the ‘Funen Painters’ commissioned him as architect on account of his understanding of design and of materiality, as well as an ability to collaborate across different disciplines. The proposed building site was rather long and not level. It was also immediately beside Mads Rasmussen’s factory with only a narrow façade onto the street, on Grønnegade. However there was access to Rasmussen’s garden at the other end. Carl Petersen committed to the project with his heart and soul. In fact he was so meticulous in every detail that he was criticised for working slowly. The facade of the museum towards Grønnegade, 1915. In his design for the Museum Petersen focussed on the specifics of materiality and colour and their overall suitability and compatibility. He wrote that he wanted to create ‘variety and compatibility within forms and through lighting’ and he must have ‘work that co-existed with creative tension’. The Museum’s architecture is also full of surprises. As a visitor one rarely gets an overview of the building. One is led through narrow passages to spaces with a wide variety of colour, lighting effects and dimensions. The black plinths and the hypnotic repetition of pilasters create a harmony in their interplay with Petersen’s work which employed the ‘golden mean’ of classical architecture. 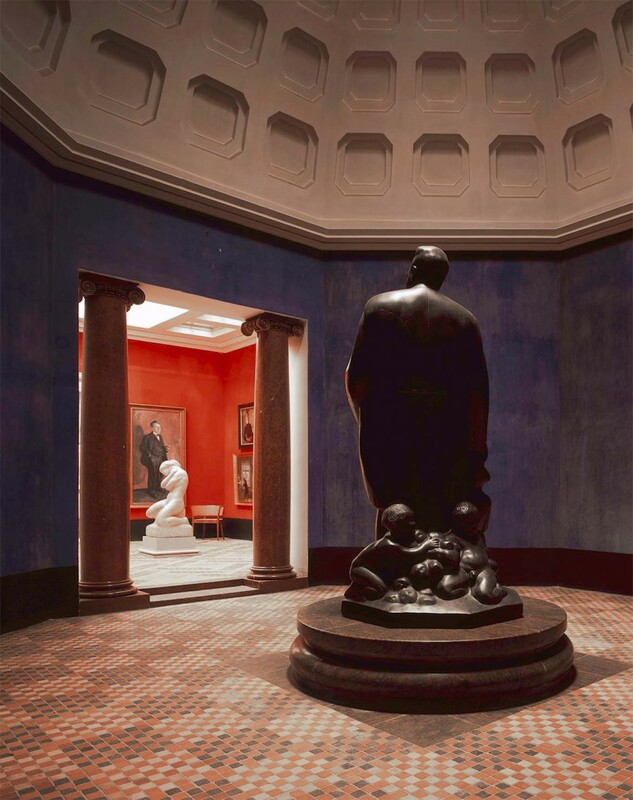 Domed gallery room and small painting gallery. 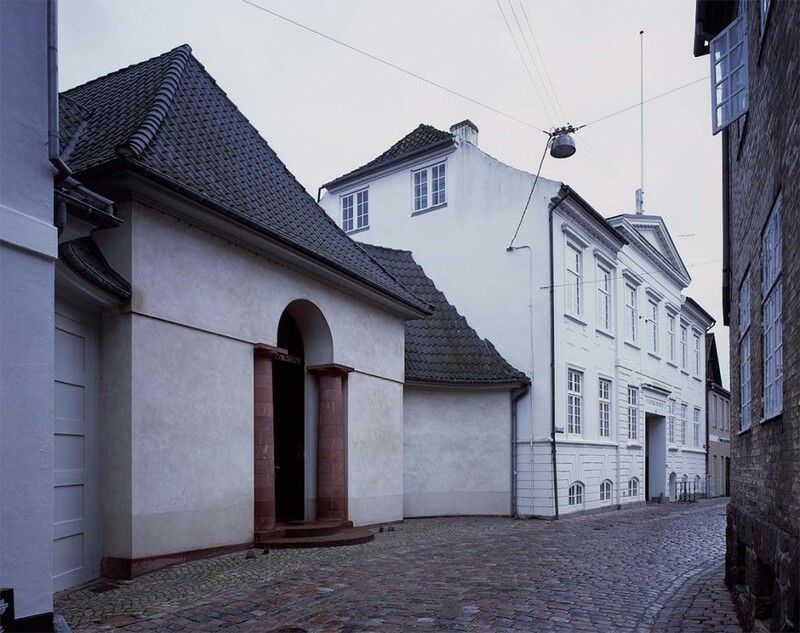 Faaborg Museum was Carl Petersen’s most important work as an architect. 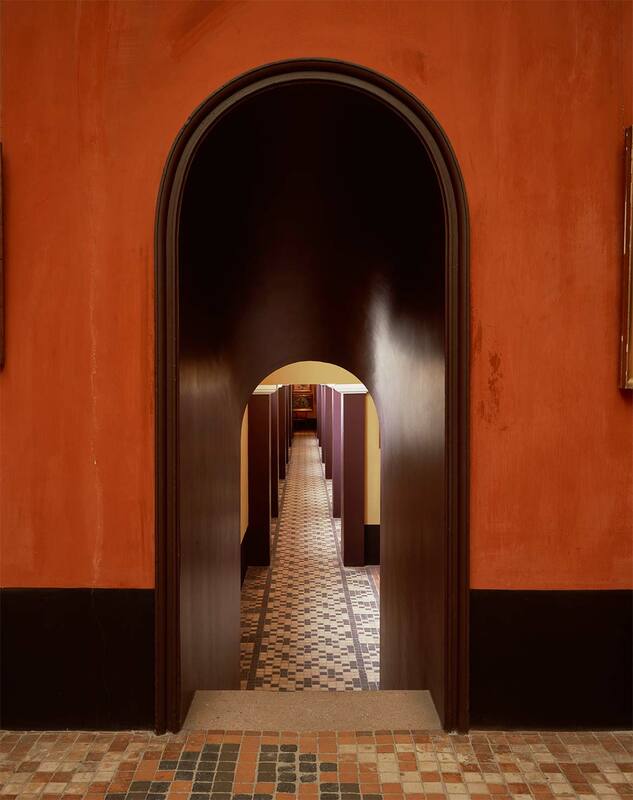 He developed aspects of his philosophy further namely the experiencing of spatial awareness through contrasts, and the belief that the materiality of texture is critical in art and architecture. He presented his ideas in a series of journal articles entitled ‘Contrasts’, ‘Textural Effects’ and ‘Colours’; and as professor at the Fine Art Academy’s School of Architecture from 1918 until his untimely death in 1923 Petersen influenced many of Denmark’s modern architects. Main painting gallery with Peter Hansen’s painting of the inauguration of Faaborg Museum. Stairs towards the gallery bays.